Carla has worked with me on gigs for the past two decades, she is EVP and GM International at SweeneyVesty. 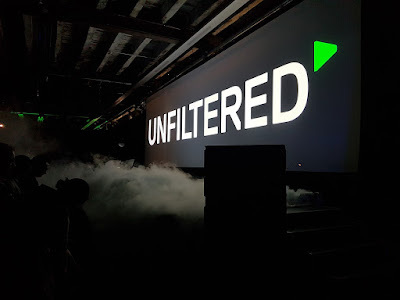 Here is a two-part guest post from Carla who attended the Unfiltered Live event. 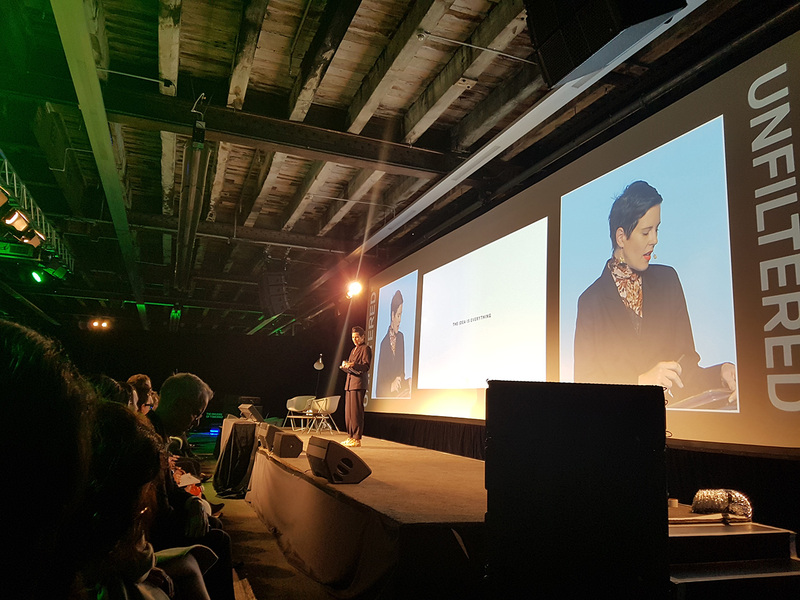 Shed 10 on Auckland’s waterfront was the place to be on Tuesday 22 May. Some of New Zealand’s most successful entrepreneurs flew in from all corners of the globe to speak at the third Unfiltered Live event held. Iconic business stars each shared their 5 ideas on how to win in business fast. The day had an electric atmosphere. 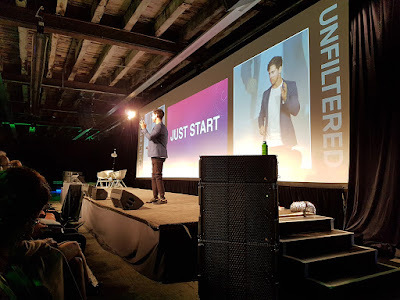 It was a rapid fire of intel, insight and inspiration from some of the best business minds in the world. 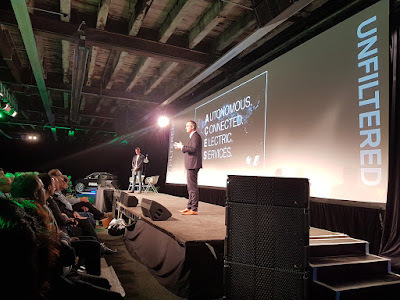 During the breaks, there was 1000 people networking, a productive hum in the air from new connections being forged. 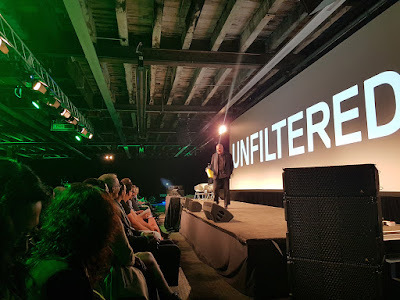 Kevin Roberts Chair of Unfiltered and emcee kicked the day off. 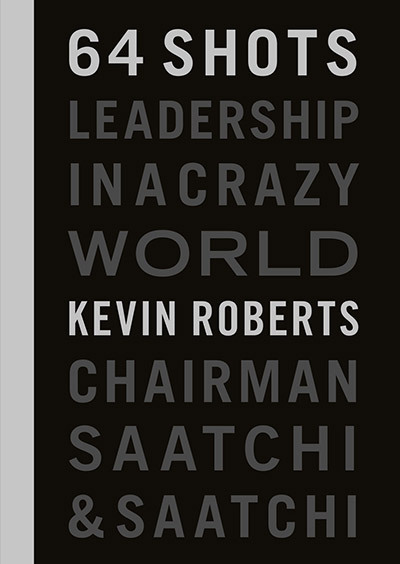 We live in a VUCA world - Volatile, Complex, Uncertain, Ambiguous – which is daunting for the establishment. For entrepreneurs, leaders and optimists everywhere it’s the best time ever to be alive and in business because we live actually in a SUPERVUCA world – Vibrant, Unreal, Crazy and Astounding. Ideas are everything, they are the currency of a SUPERVUCA world. Execute and move from ‘Getting Things Done’ to ‘Making Things Happen’. Recite your ABCs…Ambition, Belief and Courage every morning. Brilliant global creative and fashion powerhouse Karen Walker encouraged us to get fully immersed, pack our bags and go to where it is happening. Always turn up. Show our ideas. And…you’ll never be ready! Be in the game. Work at your luck, work hard for your luck, put yourself in a place where luck can happen. The “supernova” moments in business are fleeting, manage them by being agile and not gripping on too tightly. If you get it right, and collaborate with other businesses, special moments can happen where 1 + 1 = 3. 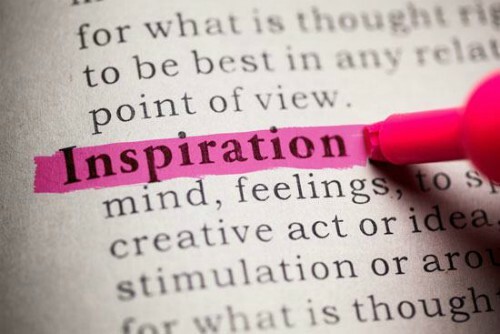 The idea is everything. We don’t always need to know the detail or the how, those things can happen through great partnership. The stories shared by Karen on her journey and successes were truly inspiring. Thought leader, disruptor, innovator, and futurist Frances Valintine’s world is digital and we have to think digital first in business and global from day one. It is imperative that we shift digitally. Need foresight and insight. Change makers are coming, they will rewrite the rules. They are from half the world's population who are under 18. Get out of echo chamber of NZ. Be curious. Go where populations are young. We need to find new forms of protein that are environmental sustainable. As a country we need to be looking forward at how we attract talent. The young aspire to be in tribes to collaborate and share economies. With the intersection of tech and education, if we all live longer from 65 to 95, how are we going to keep learning? Be bold, brilliant and mission driven. 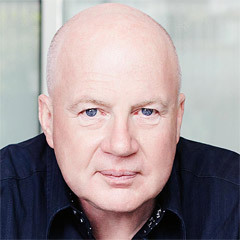 Two time Paralympic Gold medallist and record breaker Liam Malone, was “not born to be a winner” with fibular hemimelia, and at 18 months old he had both legs amputated below the knee. Society may call him disabled, however he had a vision, “I am able”. Be the best you can be. To win fast, you have to start fast. Liam gave the best ever description of CRAP: Criticism, Rejection, Assholes & Pressure. Be prepared to fail fast. Take positives out of failure that those who succeeded wouldn’t have noticed. Have a winning mindset. Within business you have to deal with a lot of change and be in a hyper competitive state, so train your mind. Practice mindfulness, be consistent. Be bold, go the whole way, put your neck out. 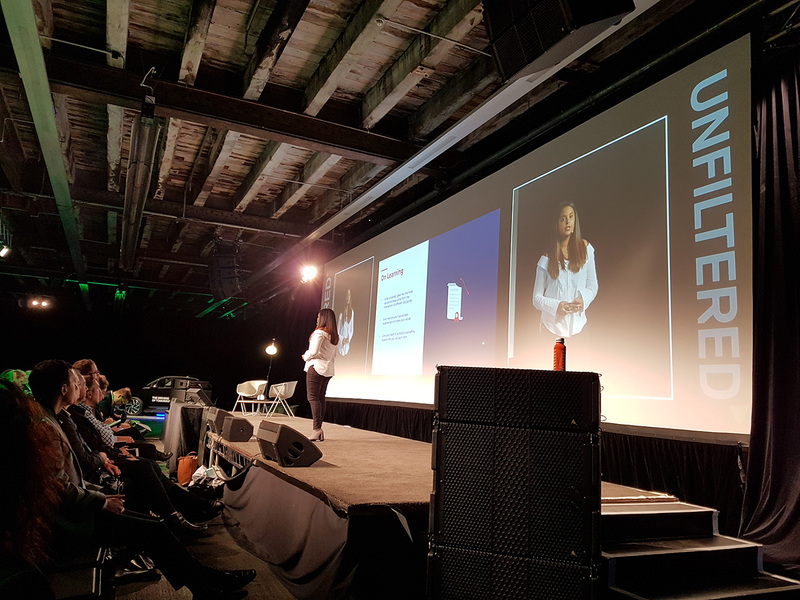 23-year old entrepreneur Sharndré Kushor is co-founder of global business Crimson Education, a Westpac Woman of influence and a leader that is doing what all great leaders do, creating other leaders. Her advice is to never stop learning. Find mentors and experts. Mentors are an effective way to learn, they can help you navigate ideas quickly. Always have people around you that are experts. Leadership. No one wants to stand on the battlefield alone. Humans make decisions on how they feel. Trust is built in small increments and can be broken easily. Trust account has withdrawals or deposits. 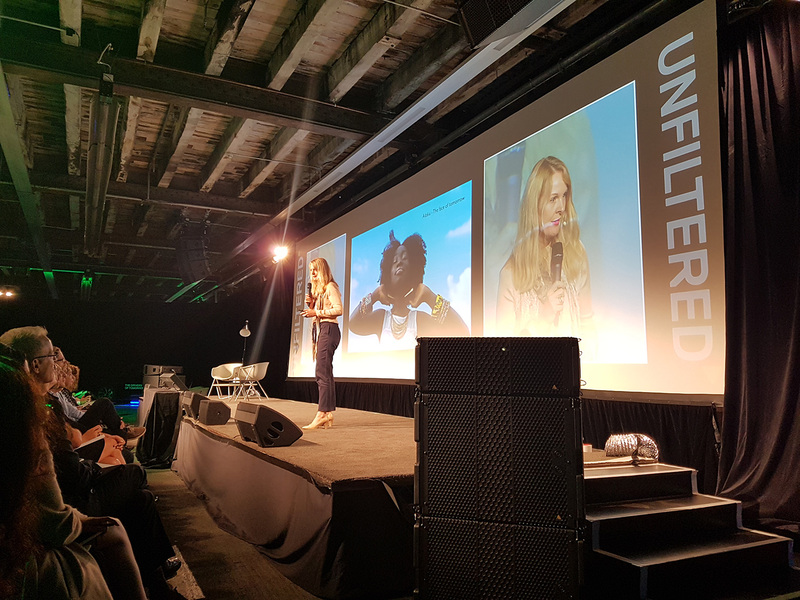 Culture is so important in high growth companies, roles change quickly so you need to have people who can go above and beyond. Growth. Ask: what would I do if I was not afraid? What impact do I want to make on the world? Don’t benchmark on those around you, forge your own path. Find your fuel. Need to be self aware, strengths, weaknesses. What makes you tick? Solve problems that fuel you, do something that you think matters. Level up, continuous improvement. Solve the problem. Before we went to lunch we heard from Florian Renndorfer, MD of BMW NZ who shared BMW’s vision for the future. They are well on the way to an electric fleet. 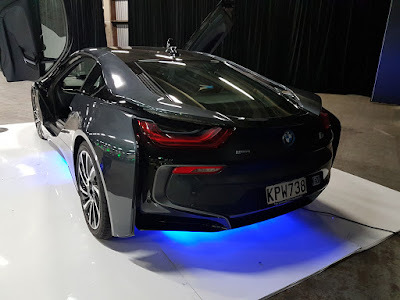 By 2025, BMW will have 25 electric vehicles, two of which were at Shed 10. 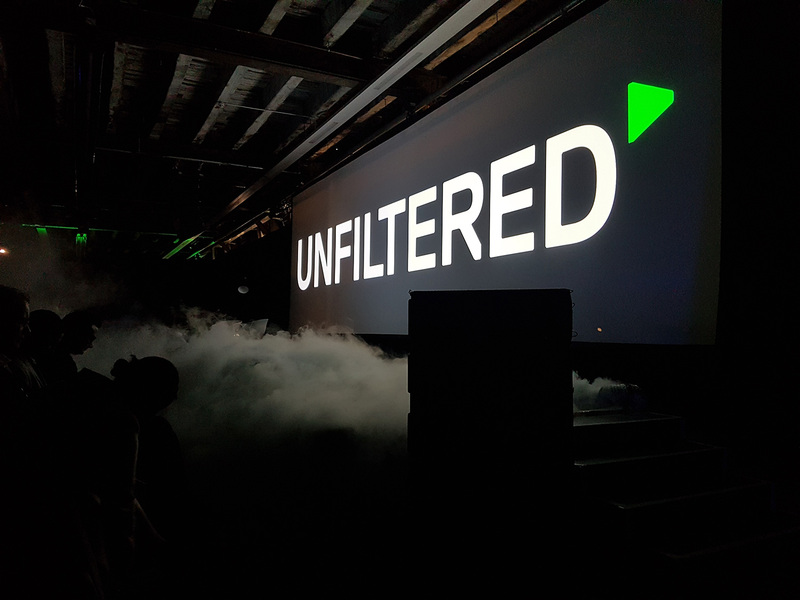 BMW and Unfiltered are seeking budding entrepreneurs, start-up businesses or someone with a vision to shape tomorrow’s world. There are amazing prizes. To enter go to www.driversoftomorrow.co.nz. 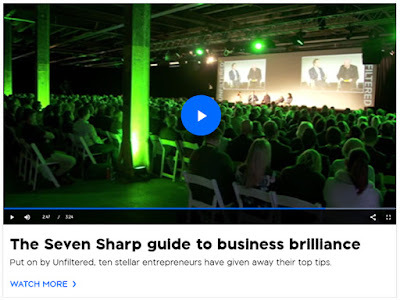 Check out Seven Sharp’s guide to business brilliance after visiting Unfiltered Live on Tuesday. Blackpool Museum. 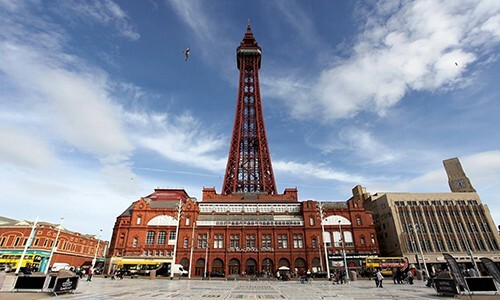 Due to open in 2020, the Museum will display artefacts, music and performances from within Blackpool and partners including the V&A, EMI Group Archive Trust and the British Music Hall Society. The Museum - the biggest new museum development in the North West - is expected to attract almost 300,000 visitors a year and will be developed on the world-famous Golden Mile. It will aim to engage younger audiences in the history of Blackpool and further strengthen the town’s tourism offer. It will be creative, interactive, fun and funny! 12 Records in One Season. For those of us who were there (1.8 million over the season), we may never see the like again. 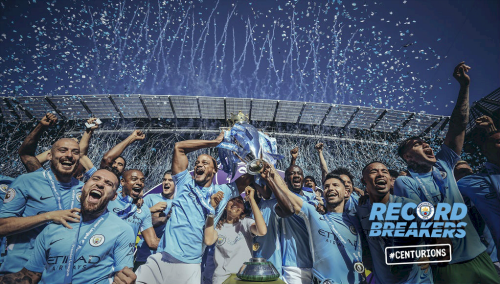 Manchester City 2017/2018. The Record Breakers. · Most Premier League points -100. Beating Liverpool in ’78/’79 (98) and Chelsea in ’04/’05 (95). · Most wins – 32. Spurs 31 in 1960/’61 and Chelsea 30 in 2016/’17. · Most goals – 106. Chelsea in 2009/’10, 103. · Least amount of time trailing – 153 minutes. · Most away wins – 16. Chelsea 15 in 2004/’05. · Most away points – 50. Chelsea 48 in 2004/’05. · Best goal difference - +79. Chelsea 2009/’10, +71. · Most consecutive wins - +18. Arsenal +14, 2002. · Biggest point gaps to second – 19. Man Utd +18 in 1999/2000. · Most passes attempted in a match – 1,015. Man City 976 V Everton and Chelsea 2017/18. · Most passes completed in a match – 942, 92.8%. Man City 905 V Everton, 92.7%. · Most possession in a game – 82.95%. Man City 82.28% in 2012 Vs QPR. A Modest Proposal – Part Two. John Wareham worked with Kenny Johnson – career criminal, career inmate. Until he met John at Rikers Island where he joined John’s Taking Wings programme. Five years of classes and Kenny turned into a teacher and guide. He was tragically felled by a heart attack at age 49. Excerpt from a poem by Kenny Johnson, which he delivered at protest rally on the steps of the New York State Capitol building, shortly before he died. of doing time to end up doing more time.